These gorgeous pieces will make your house a HOME! If you haven't heard of the Novogratz line at Walmart, your home is truly missing out on some fabulous decor. 1. A midcentury-style credenza that'll look lovely in a hallway, dining room, or any space where you need some extra storage. 2. A brushed-steel lamp with a frosted glass shade to shine a little more light in your home office. 3. A five-shelf bookcase made from metal and PVC that’ll give you more your storage space and add a chic accent to any room. 4. A royally charming decorative pillow to crown your bed or favorite chair. 5. An upholstered bed frame with under-bed storage that'll brighten up your room while keeping it organized. The frame fits a queen-size bed. 6. A tufted ottoman to kick up your feet in epic fashion. 7. A twin-sized metal daybed that features a built-in trundle so you’ll have extra sleeping space for guests. 8. A pretty chair you can use as a statement piece — or buy multiple as a cute set for your dinner table. The chair features a sturdy metal frame and can hold up to 250 lbs. 9. A handwoven doormat that'll greet your guests in the most adorable way. The rug measures 1'6" x 2'6" and can be cleaned using a garden hose, but larger spills and stains should be treated by a professional cleaner. 10. 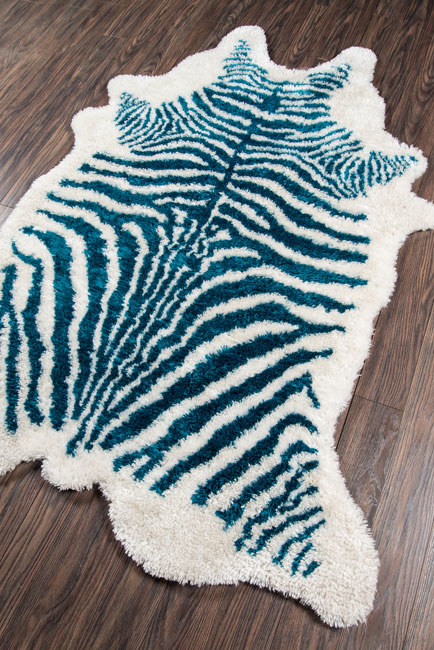 A turquoise faux-fur rug to take your room’s style to the wild side. 11. An elegant tufted sleeper sofa that converts into three comfy positions and will become the focal point of any room. 12. A desk with a hutch so your little one (or even you!) will have a dedicated space to do homework or dream up their next amazing drawing. 13. A pretty metal and wood stool that's just what your bar or kitchen island needs to come together. The stool measures two feet tall. 14. An adorable rug to give your kids a little assistance with learning their ABCs. The rug features a low-profile construction from soft polyester pile with a textured cotton backing. 15. A precious avocado kitchen mat that'll truly ~guac~ your world. The 2' x 3' rug is hand-hooked and made from 100% polyester. 16. A sleek metal coffee table with a matte black finish that you'll have to make sure your bestie doesn’t try to sneak out of your house. The table measures 20.1"H x 40"W x 20"D and can hold up to 60 lbs on the top shelf and 40 lbs on the bottom. 17. A steel outdoor furniture set so you can add a fabulous pop of color to your patio or yard. The set includes one table and two chairs. 18. 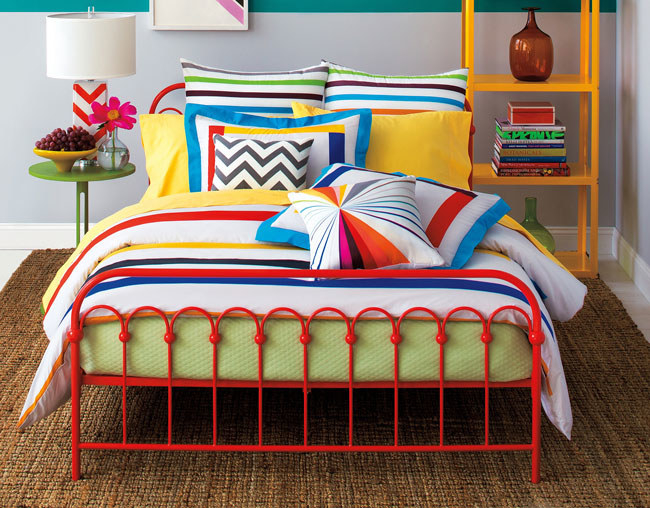 A vibrant striped comforter set to give your room a fresh new cozy look. The machine-washable, 100% cotton set fits a king bed and includes a comforter and two shams.